Obituary – McCormick, Myrl Adolphus « Perry High School Alumni Association, Inc.
﻿Myrl A. McCormick, 89, died at 1 p.m. Saturday, April 6, 1996, at Perry Green Valley Nursing home. Funeral will be at 2 p.m. Wednesday at the First United Methodist church. Rev. Cortez Cranfill, pastor, will officiate. Burial will be in Grace Hill cemetery under direction of Brown Funeral home. McCormick was born Jan. 1, 1907, at Perry, the son of James and Grace McCormick. He was a graduate of Perry high school and Chillicothe Business School in Chillicothe, MO. He attained the rank of Major with the 97th Bomb Group, 8th Air Force and served in England, Africa and Europe during World War II. He and the former Fern Folger were married at Ardmore on Dec. 22, 1934. McCormick purchased rights of way for Continental Oil. Company and was self-employed in the oil business. McCormick was instrumental in finding and developing the Ceres Golden Grove oilfield in the early 1950s. 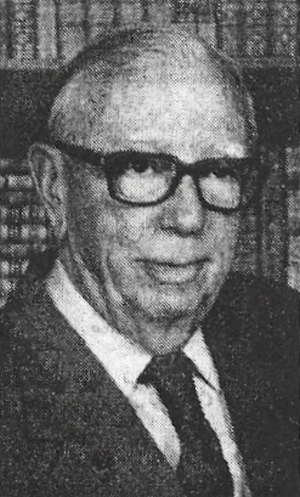 McCormick was a member of the First United Methodist church, American Legion, Perry Chamber of Commerce and the Cherokee Strip Historical Society. Among survivors are his wife, Fern McCormick, Perry; a daughter, Ann Cooper, Las Vegas, NV; two grandsons, Brad Cooper, Marginez, CA, and Stephen Cooper, Waco, TX; a granddaughter, Janet Cooper, Oklahoma City; a sister-in-law, Mrs. J. B. McCormick, Arkansas City, KS; and several nieces and nephews, including Richard Greene, Perry, and J. A. Megenity, Red Rock. McCormick was preceded in death by his parents, four brothers and two sisters.